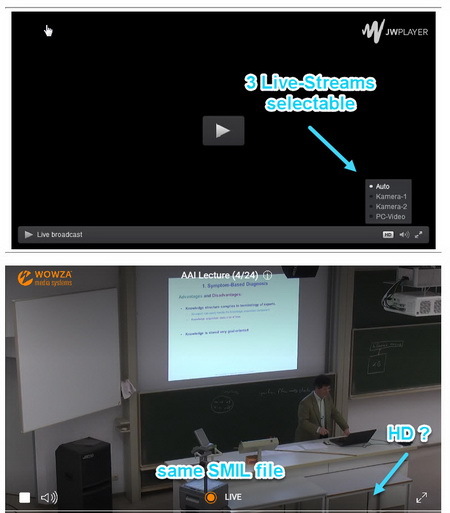 Live Streaming does not allow to select "HD Source" using a SMIL file ? Switch between 3 different source (streams). This works fine using the JWPlayer, but the Wowza Player does NOT allow to select the sources ? Any ideas from the WOWZA Expert Team ? Currently switching between different camera angles via SMIL file is not supported.